TEST DRIVE UNLIMITED 2 AUTOPACK ver.1.73 "Serenity Pack"
14.Mitsubishi Lancer Evo X FQ400 -created and improved By StarGT, sound by mitkop81, gauges from StarGT - placed at Japan car dealer at Hawaii. 22.Lykan Hypersport -created and improved By StarGT, sound by StarGT, gauges from StarGT - placed at Japan car dealer at Hawaii. 25.Mclaren P1 Hybrid -created and improved By StarGT, sound by toxicflash - placed at Brithish car dealers. 29.Ferrari Laferrari - created by StarGT, sound created by Damys - placed at Ferrari dealers. 30.Ferrari FXX (not evoluzione) -original model with changed interior, hud from ariel atom v8 and textures created By StarGT, sound by mitkop81 - placed at Ferrari Dealers. 32.Lamborghini Huracan LP610-4 - created and improved by StarGT, sound created by Damys, placed at Alfa/lamborghini dealers. 33.Pagani Huayra - created and improved by StarGT, sound created by mitkop81, placed at Itallian dealers - pagani. 34.Chevrolet Corvette C7 Stingray -created and improved by Kiborg-DVA and StarGT, sound created by f12berlinetta, at american supercars dealer at O'ahu. 35.Bugatti E110 SS - Created and improved by StarGT, sound from f40 (little improved by mitkop81), placed at european classics. 45.Wiesmann GT MF5 - Created by Kiborg-Dva, improved by StarGT, original wiesmann mf3 sound, placed at British car dealers. 47.Ferrari F2012 - created by Gramadchukov, improved by StarGT, sound by Damys, placed at Itallian classics at O'ahu. Many cars has Unique options by pressing "HARDTOP BUTTON"
Database created by mitkop81, based to Xarlith's UP.04. 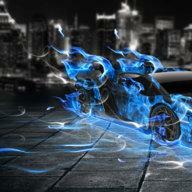 At folder EXTRA have skins for BMW320, BMW M1 and Ginetta G40 for that wich want different skins. Is possible inside cameras to don't like to you, but that is the best for this cars at this moment. Special thanks to StarGT, Kiborg-Dva, Xarlith, mikop81, binbow, Fussel, Greg69, Reventon09, minime891, Damys, Ruslan92, twinturbo250, Phill, Gramadchukov, FRY34, MichaelB450 and every other modders that make this pack possible. Please forgive me if i miss someone. Special thanks for help from Xarlith with fixing database problem of BMW S1000RR and adding new rim set for Citroen DS4 and Lamborghini Sesto Elemento. This pack work only with unpacked game versions. Fully compattible with UP 0.4, and uncompatible with other created packs. this will be a full installation of the pack included all 7 parts of the Autopack and is not needed to have last 3 parts for this part. Compattible with UP04 and all DLC's, not compattible with other car packs that is created. Make backups to your database, frontend, vehicules and sound folders. Installation: WIth archive - just extract all files at your game directory. Unninstall - delete database, frontend, vehicules and sound folders and place there your backup folders. At folder sound have a folder optional music wich include new main menu sound. For all of you wich want to change this sound just copy the folder "musics"and place at your folder "sounds"
We are devils :P. The secret car is....... italian........old........V12.......4 turbos........650bhp.......4x4........355km/h........0-100 around 3.2 sec........ gues wich car is. I installed the pack and have some problems with yellowish textures on the cars (especially on the plates) that look broken. It was in 1989 that the plans for the new Bugatti-revival were presented by Paolo Stanzani, of Lamborghini Miura and Countach fame. The general lay-out of the car was already known, a prestigious 12 cylinder, 60 valve, 4 turbo, 4 wheel drive rear engined supercar, better than anything known to man (in those days). The expectation was to get 550 HP out of this! Plans were tp remain the total weight below 1300 kilograms, but this turneds out to be 1620. However, how the car should look on the outside was not known yet! This was done by Marcelo Gandini (and others) later on. Stanzani was sent away in 1990, because of some unclear manupulations with stock, which should have given him more than 50% of the possession of Bugatti. This "coup" didn't succeed however. In the end Romano Artioli took over as the "face" of Bugatti. Maybe an article about all the political games at Bugatti should be written once. The 15th of September 1991 the EB110GT was presented by Romano Artioli in Paris in a big show to the public, exactly 110 years after Ettore Bugatti had been presented for the first time, presumably not in so big a show! A short time later a better, lighter and more powerful monster the EB110 SS (either SuperSport or Sport Stradale) was presented, capable of 352 km/h and 0-100 km/h in 3.2 seconds. This is the version that was almost ready to race with. We still need someone who can create sound for BMW S1000RR and Citroen DS4. Anyone who can do this??? Bugatti is actually not an Italian car. However, the founder was born in Italy, I believe the company is French or German, not sure which one. Has i know Bugatti is a italian supercar, Ettore Bugatti is italian racer and constructor, but the company at the beginning is based at Germany, after world war 2 is moved to italy. But is possible to get wrong im not sure. HEY FRIENDS !!! OH MY GOD !!!!!!! I finally had the pleasure of trying the DREAM PACK. It is AMAZINGLY AWESOME !!! They are total geniuses. That most amazing EQUIPMENT BOYS DOING HERE. My greatest admiration HUGS, Acknowledgements, GREETINGS AND ESPECIALLY MY ETERNAL THANKS !!!! A MITKO AND ALL EQUIPMENT THAT MAKE TURBODUCK, A FACTORY OF ILLUSIONS AND DREAMS FULFILLED !!! THANKS !!!!!! So far, I've been really enjoying the new pack. So far, I've been driving the LaFerfari most because it lags the least on my machine (I plan on replacing my graphics card in a few monthes or so). The Hauyra also isn't too laggy, the FXX runs the smoothest but it isn't a completely new car. Now the C7 lags... a ton, so does the LFA. I'm quite proud of the new cars, it was worth the wait. Team would like to thank also to consider two SUPPORTERS Youtube friends, and their publications and videos have helped and solved every doubt and consultation and these are CarlStone13 and Bartkramergaming. They are great with their videos. It's kind of personal gratitude without detracting absolutely no one on this site. Thank you. Friends to enjoy this super pack !!! I totally agree with the wait, no doubt it was worth it. Although my machine running all great. I wish you could soon change that graphics card, really friend. Greetings. The Bugatti EB110 is great. It could not have been better car. Congratulations friend. You're a Great! Great updates, I like the LFA since it's my favorite car and the rest is just wow. I love your works guys! I like the hidden roof functions: but what exactly does the roof function add/remove on the DS4? Great car pack :) , but i have one problem exactly with diablo rims , in game i have diffrent rims than in the photo. I think the car list choise in the pack 1 will be hard to beat but I know the quality will be amazing like always. Hello friends. WOOOW !!! If I enjoy the new PACK. But not wanting to spoil anything great about this, I have met with very, very small "bugs" that not even at all overshadow this great project. but perhaps because the conditions of my computer. 1-Lambo huracan, I can not paint and rims are not the origin. 2- Ferrari FXX ; no speedometer, just inside that is digital and sometimes disappears.